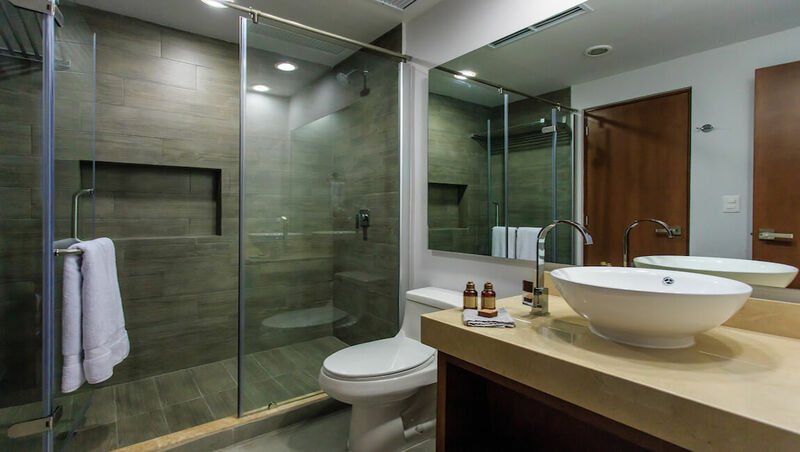 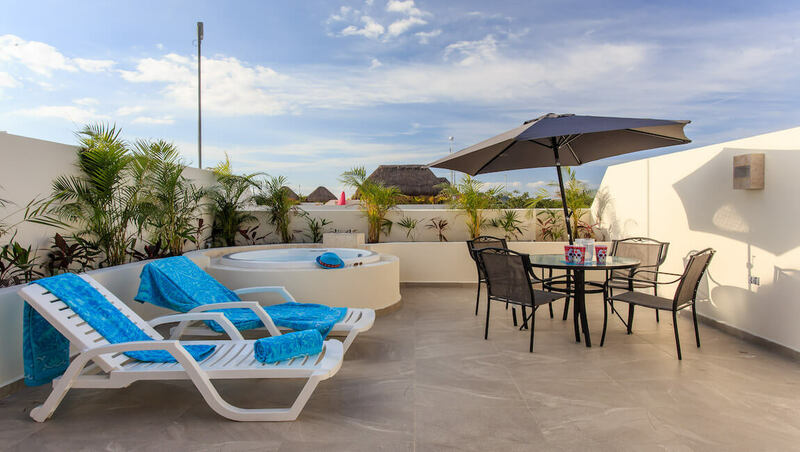 This beautiful penthouse features 1 bedroom and 1 bathroom, PLUS an incredible private rooftop. 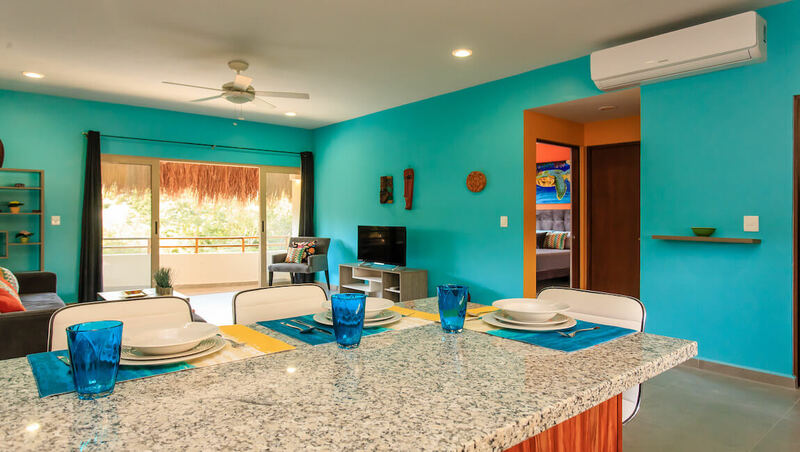 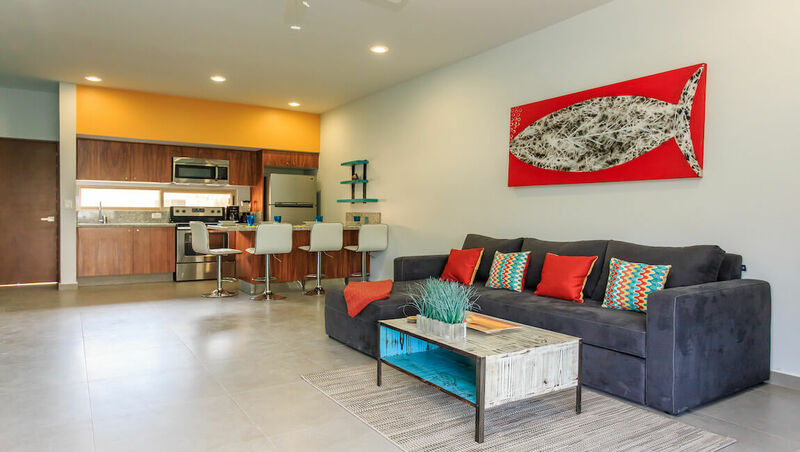 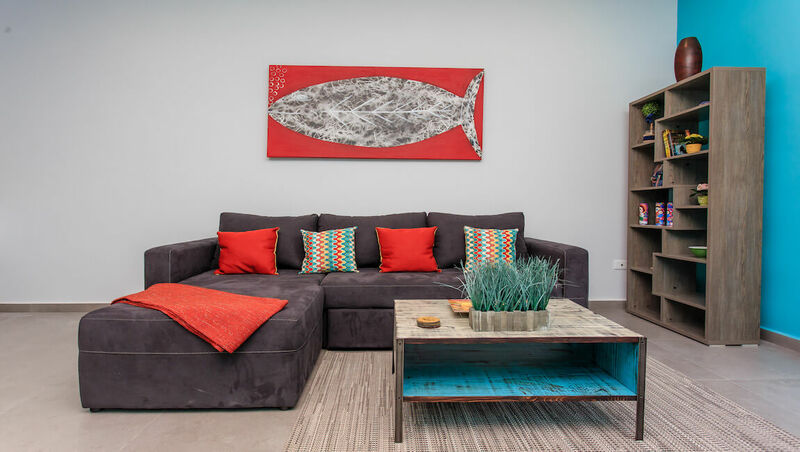 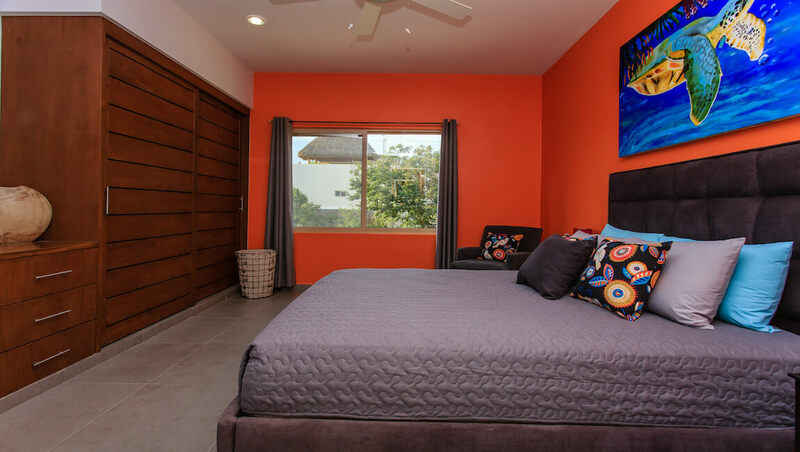 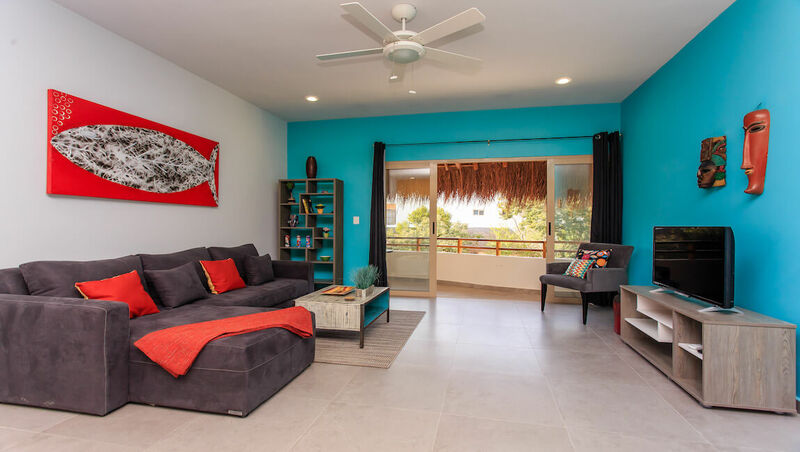 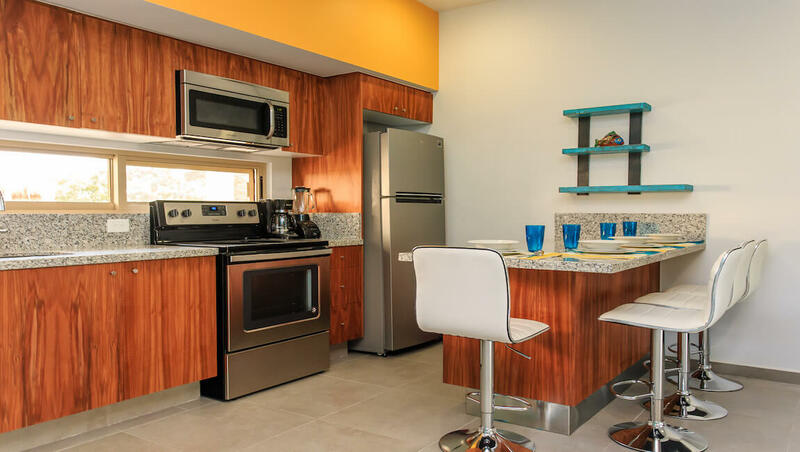 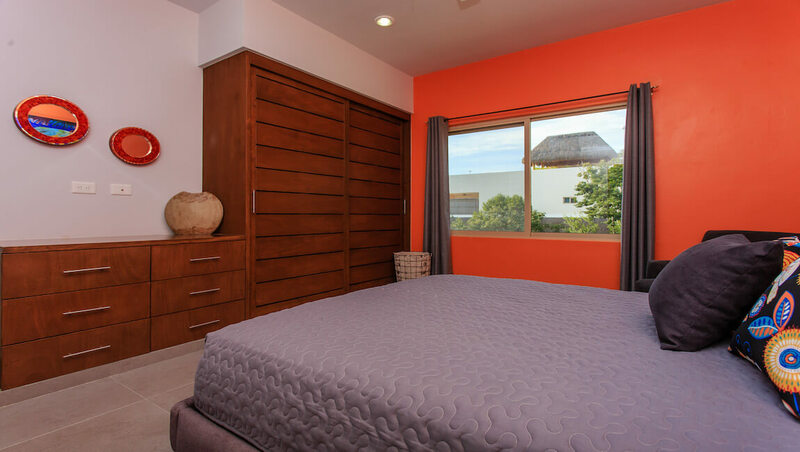 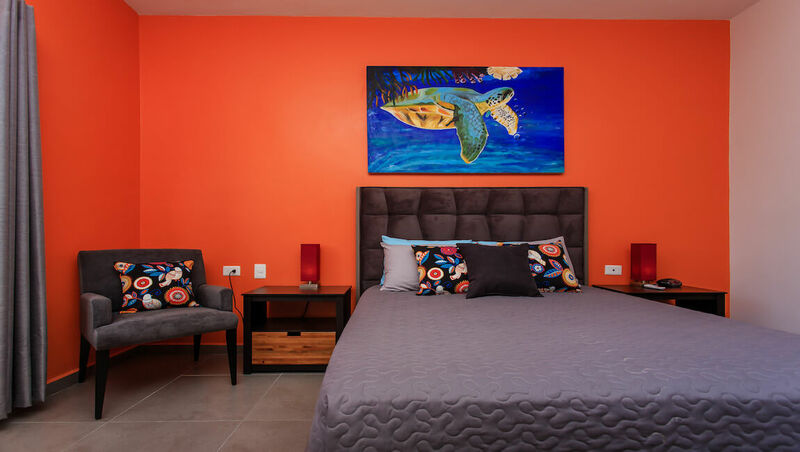 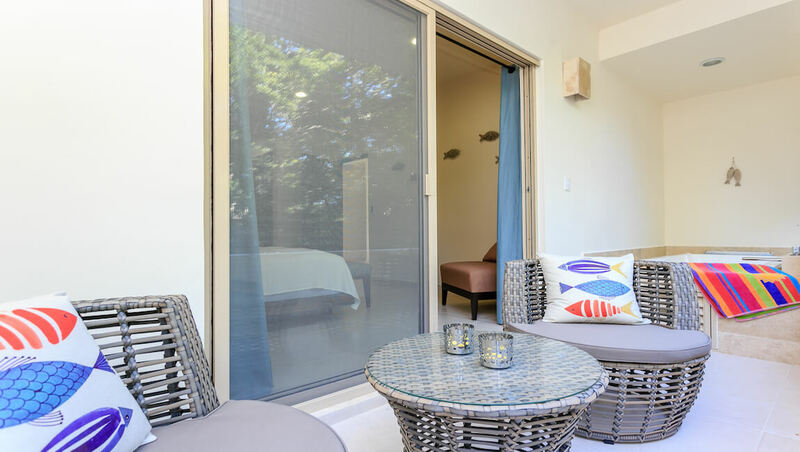 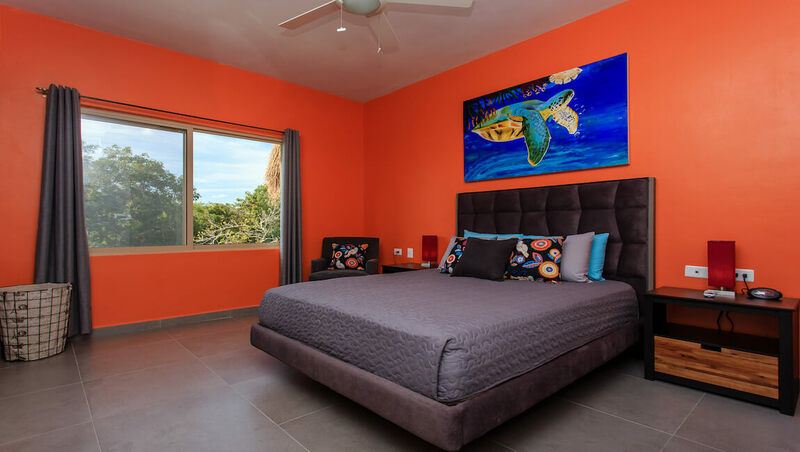 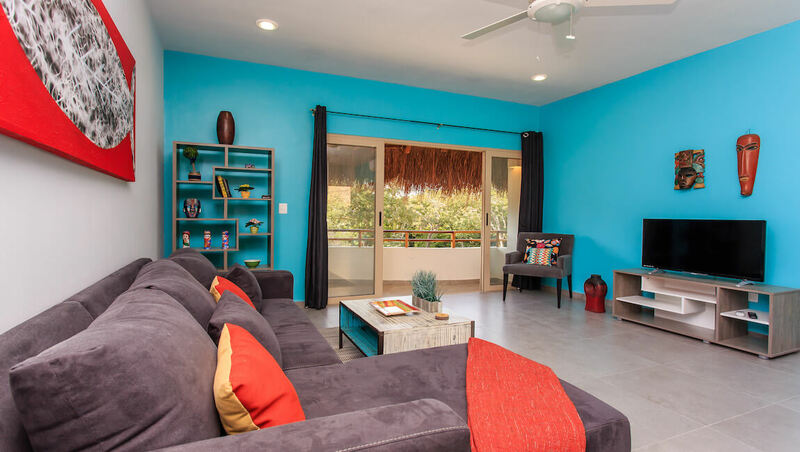 You’ll love the vibrant colors and the amenities, relax on the comfortable sectional couch and enjoy a movie after a day at the beach, prepare breakfast in the fully equipped kitchen, take a dip in the Jacuzzi tub and dine al fresco on your rooftop under the stars! 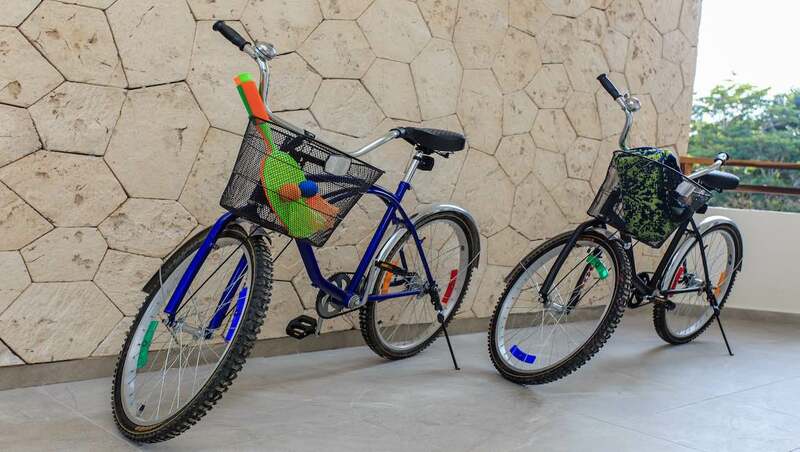 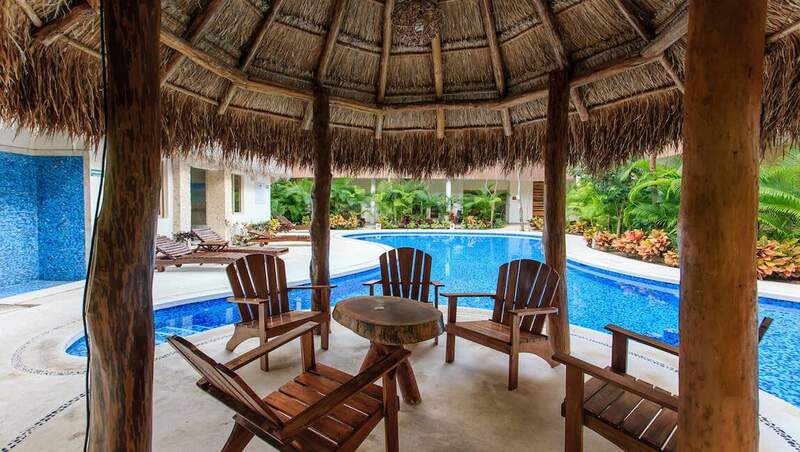 This is a great option for those looking to rentals in Tulum. 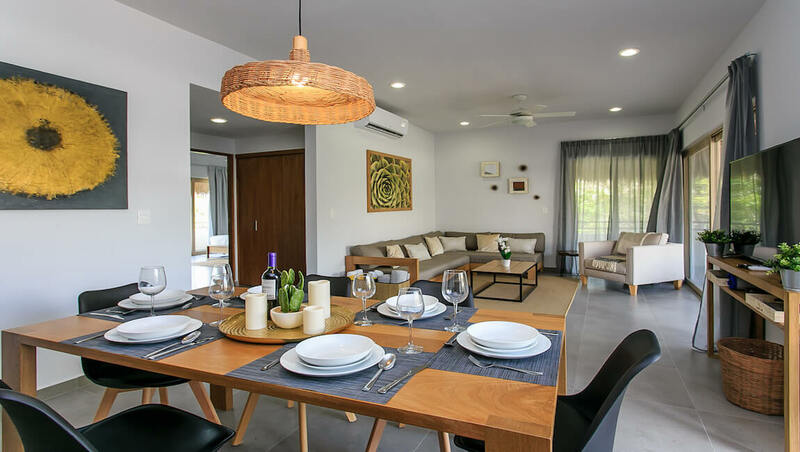 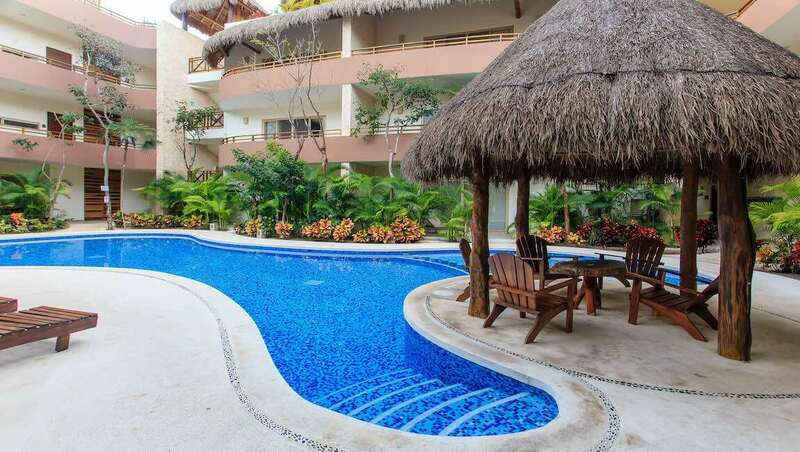 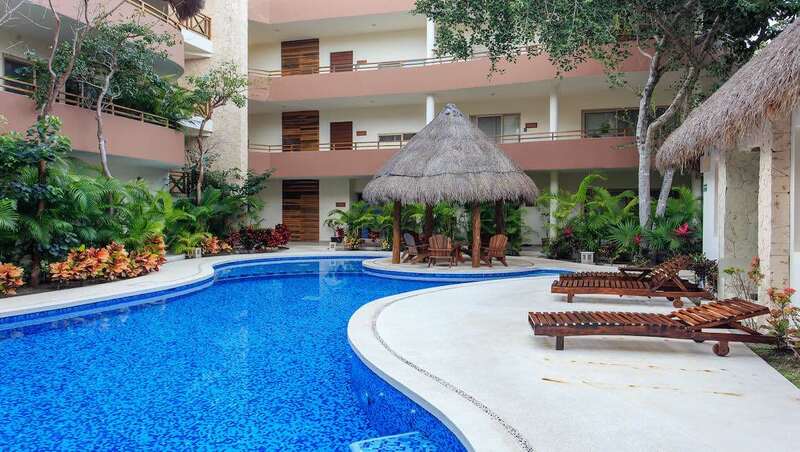 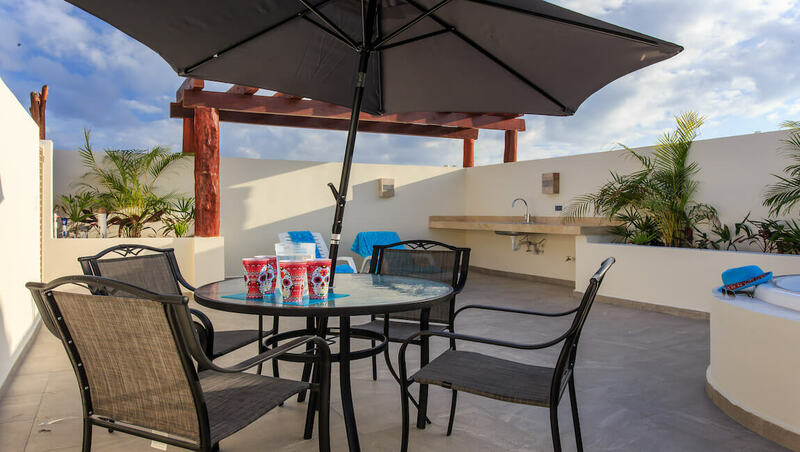 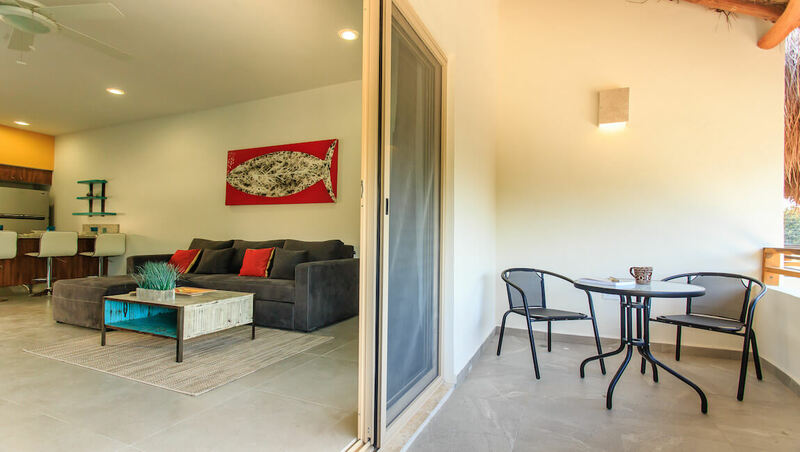 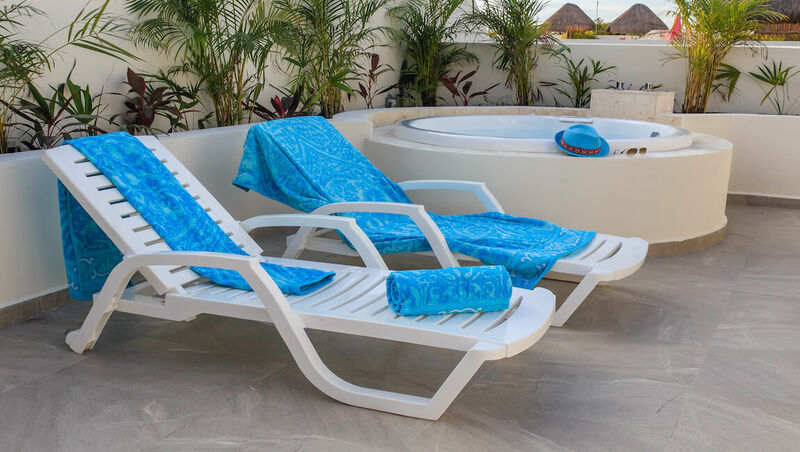 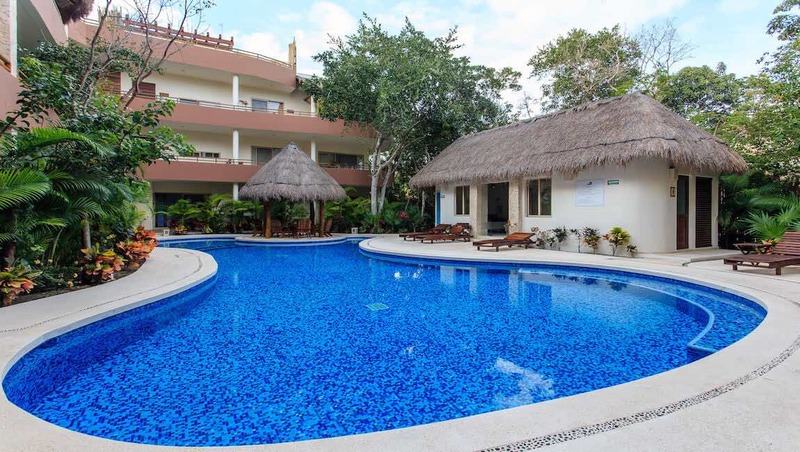 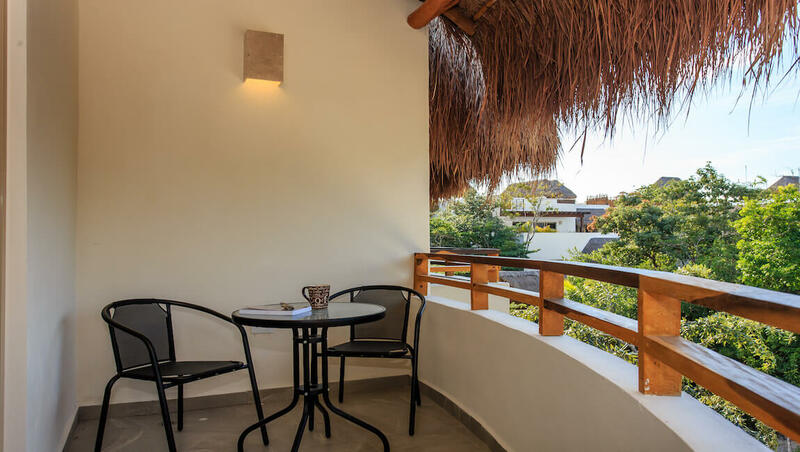 Puerta Zama common area includes a large swimming pool and lounge chairs to take in the sun and parking area.